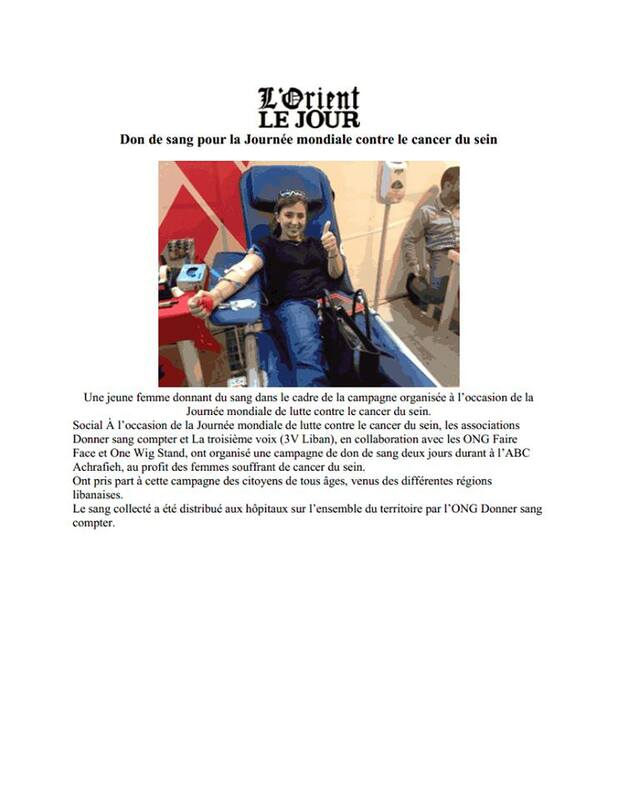 »Press»DSC’s ABC Achrafieh Blood Drive Headlines Newspapers! 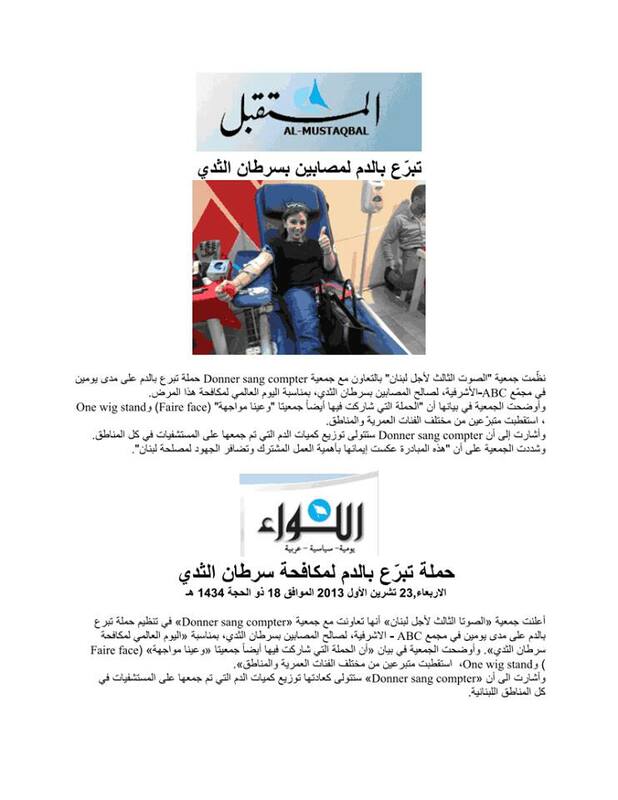 DSC’s ABC Achrafieh Blood Drive Headlines Newspapers! 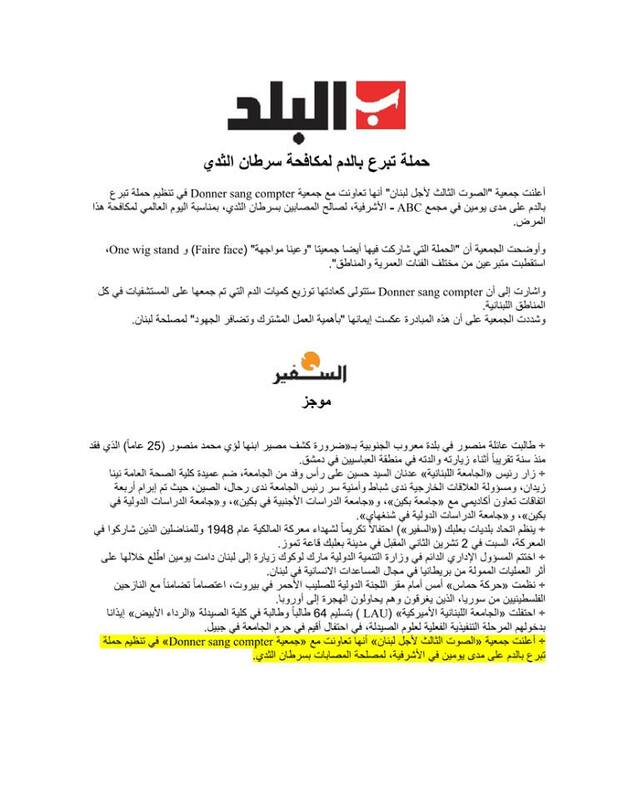 We were very proud to see the news regarding our special “Breast Cancer Awareness Month” blood drive done at ABC Achrafieh on October 19-20, headlining local newspapers and websites. You can check its photo album over here. ← The Universities Blood Drive Season Kicks Off From USJ – CSM!